As you might have noticed, we recently introduced a new ad format on The Next Web, called Canvas Ads. Behind this article you can see an image, and when you click it, this post partially slides out of view so you can see the full canvas. We show commercial ads there, some promotion for our own events and services and every few weeks we select upcoming artists and showcase their work. Each artist gets to show their work and we link to their portfolios. Today we launch four new artists, each showing two of their works. We’ve asked them to introduce themselves below. Undog is an Amsterdam-based studio for visual communication. It focuses on creating campaigns and identities through unconventional experimentation within the applied arts. Undog has an extensive network of creative collaborators to help it employ graphic design and art direction in all forms and media. The results include corporate identities, posters, books, television and film titles, videos, websites, packaging and more. Based in one of the world’s leading countries for design and typography, Undog demonstrates an understanding and appreciation of its history while maintaining a healthy urge to challenge contemporary norms. Undog was founded in 2009 by Ferry van Zijderveld. He graduated in 2000 at the University of the Arts (HKU) in Utrecht and was a partner at Hotel, agency for visual communication, from 2000 to 2009. 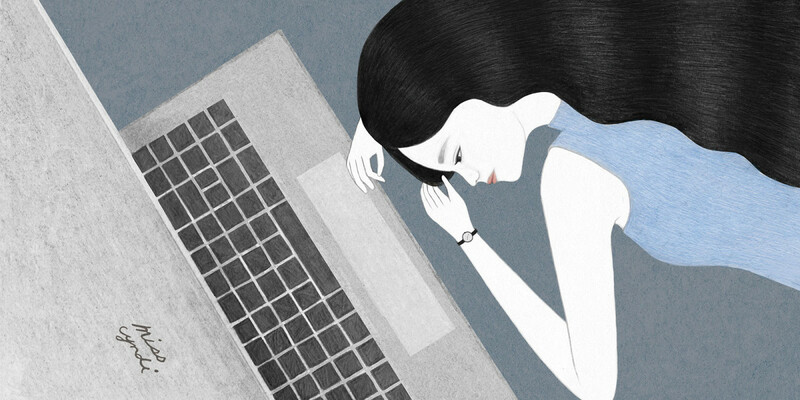 Miss Cyndi is an illustrator and artist who has worked as a freelancer for several years based in Taiwan. Most of her ideas come from deep thoughts, such as the interaction between couples, family, and the small things happen in daily lives. Diana Hlevnjak is an illustrator and designer from Croatia. She studied at the Academy of Fine Arts in Zagreb, Croatia and there she received a masters degree in Fine Art education. After working in the mobile and Web industry she decided to become a full time freelance artist, and now sells vector designs and illustrations on her website PolarVectors.com, as well as offering custom design work. Sandy van Helden is an Amsterdam-based illustrator and designer, specializing in visual communication. “I try to create a strong and recognizable style through using bold lines and popping colours and combining this with hand drawn elements,” she says. “Most of my inspiration is through current online culture. I translate these new tendencies into my own style. Hereby my own work stays dynamic and is it constantly in motion. If you want to apply to have your artworks shown on our Canvas ads, feel free to contact us.